Following on from my super rambly post about my arrival in Germany which you can read about here, I thought I would write a little post about what we got up to when we were in Cologne with just a few pictures of the city. Now, I didn't really know what to expect from Cologne as it isn't a city I had seen many pictures of or heard much about before I knew I would be going there for the course. But it is definitely now a place that I would return to! It had the atmosphere of a busy city; you could be in the heart of the cities shopping district one minute, with the main shopping street stretching out and all the advertisements and shop signs hanging outside the shops, the exotic smells from the street food venders and the natural hum of a city, and in just a few short steps you are confronted with the banks of the Rhine and the traditional looking German buildings and the wide clean embankments. There was just such an incredible atmosphere with a great mix of old and new. After recovering from my traumatic entrance to the city fyi I still have a really big bruise from where I tripped over my suitcase in the middle of the road we decided to just have a little walk around the Dom before we found somewhere for dinner. 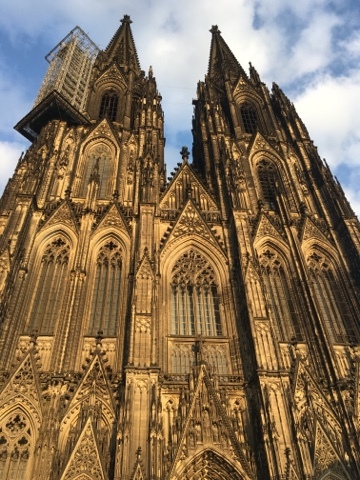 Now as impressive as the picture I have inserted above is, it does not een come close to doing the unbelievable beauty of the Koelner Dom justice. If you thought Notre Dame in Paris was good (and believe me, it is good) then just wait till you see this bad boy. Honestly, words cannot describe the intricate and spectacular architecture of the cathedral an no picture will ever do it justice. 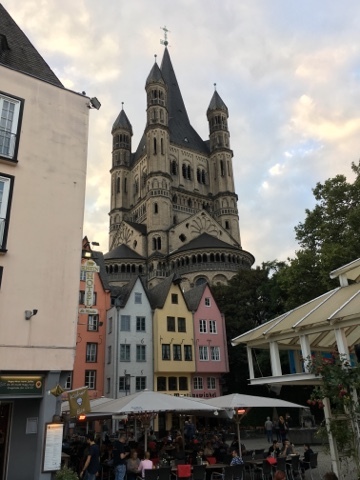 I would say if you are in Cologne you have to go and see the cathedral, but if you are in Cologne you'll find it hard to miss it it's pretty damn big. 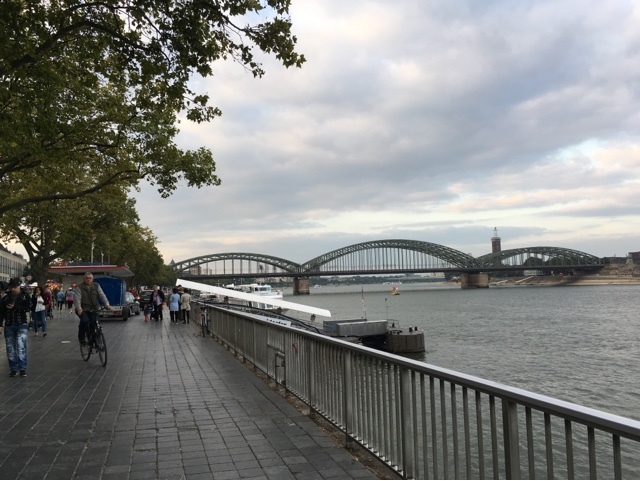 We had decided to try and push ourselves to find a traditional German restaurant for dinner and so went for a walk along the banks of Rhine until we picked one right called Rhinezeit. I would love to tell you that the traditional menu was what drew us to the restaurant but it maybe had a little more to do with the blankets on the seats outside. It was such a beautiful warm evening that sitting outside was perfect. Both Louise and I ordered a schnitzel and chips and although it was most definitely not the most adventurous item on the menu it was perfect! I had done quite a lot of research understatement of the century into activities that we could do in the morning before we got picked up for our course at 2.30. We decided to go for a little boat trip on the Rhine that left at 10.30 and I would definitely recommend it if you are ever in Cologne! It cost us six euros each as a student and for an hour cruise I think that is very reasonable! It is so lovely to see a city from a different perspective and Cologne from the water is beautiful. 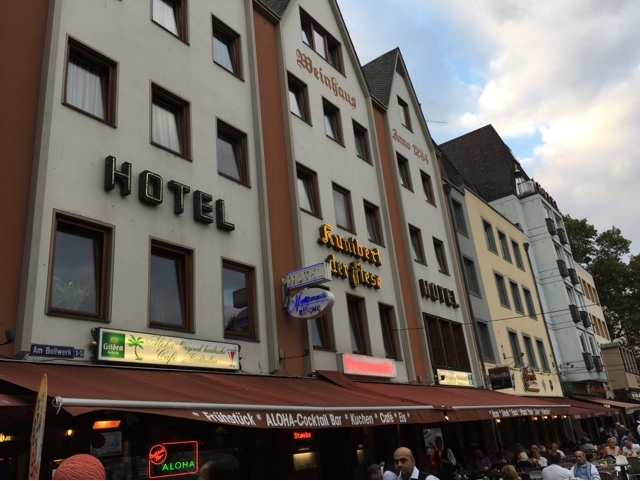 The audio explains everything that you pass in German and English so is the perfect introduction to the city. So there you go! 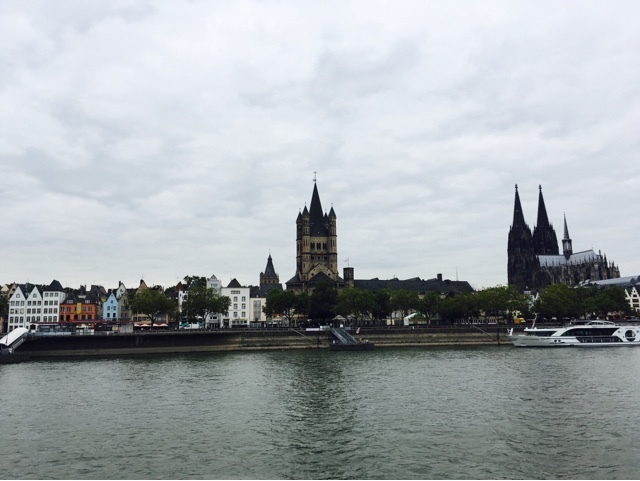 A nice run down of our very brief stay in Cologne. 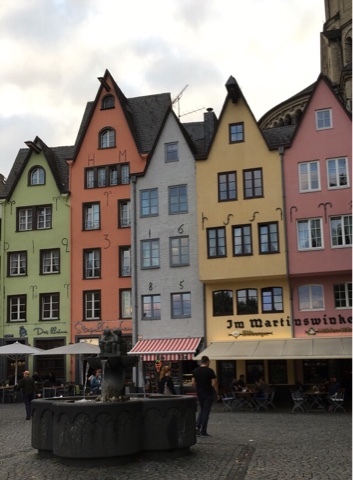 If you have a favourite thing to do in Cologne then leave it in the comments because I would love to go back one day! Also please leave your recommendations for other German cities if you have a favourite - I'd love to visit some more!